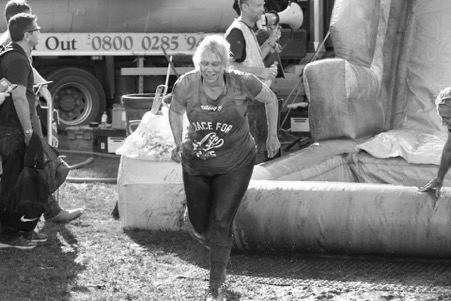 Carol running the Race for Life Pretty Muddy 10K in September 2016. ‘I am 50, 5’ 3” size 18-20. Six months later I am still 50, 5’ 3” now size 14-16! Thank you Sian for making exercise work for me, for your encouragement, your fun & your chat. I’ve dieted for at least the last 2 years and I’ve not been happy with the plans or the results. I considered a Personal Trainer, I knew I had to exercise but didn’t want to. I am a real couch potato!!! I like watching TV, films, reading, knitting, sewing, socialising with friends, drinking & eating. I was 50 and unhappy with how I felt in my birthday dress. I thought some more about PT, is it a fad? Is it expensive? Are the trainers really sporty & shouty? So I googled for a local lady trainer and found Calon Lan Personal Training. I read all the information on Sian’s website. The packages page encouraged me, could I really change my body in 12 weeks? Yes I did!!! It was hard work, the commitment, the change of routine but funny not so much the exercise!?! It’s all so cliché but I really do enjoy exercising now. It took me a good 8 to 10 weeks to settle into the routine. I go to Sian’s Bootcamp exercise class twice a week as well as having a personal session with her once a week. After 12 weeks I nervously asked Sian to measure me, I knew my shape had changed but WOW 30cms less in total from around my body, I was so happy! 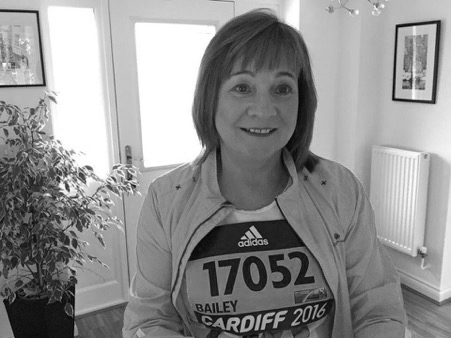 I also entered my first ever sport event, the Race For Life 10K in September this year after having trained with Sian for just five months. I didn’t even have games lessons in school. ‘Signing up for Calon Lan Bootcamp with Sian is one of the best things I’ve ever done. I’ve always tried countless gyms and classes that go straight out the window.